The Bronx suffers many burdens, including high rates of unemployment, poverty, obesity, and food insecurity. In response, local high school teacher Stephen Ritz came up with the idea of using gardening to engage his troubled students. As the students’ in-class farm flourished, so did their academic performance: Daily attendance jumped from 40 to 93%, while 25,000 pounds of organic fruits and vegetables have gone into school lunches or have been sold to community members. 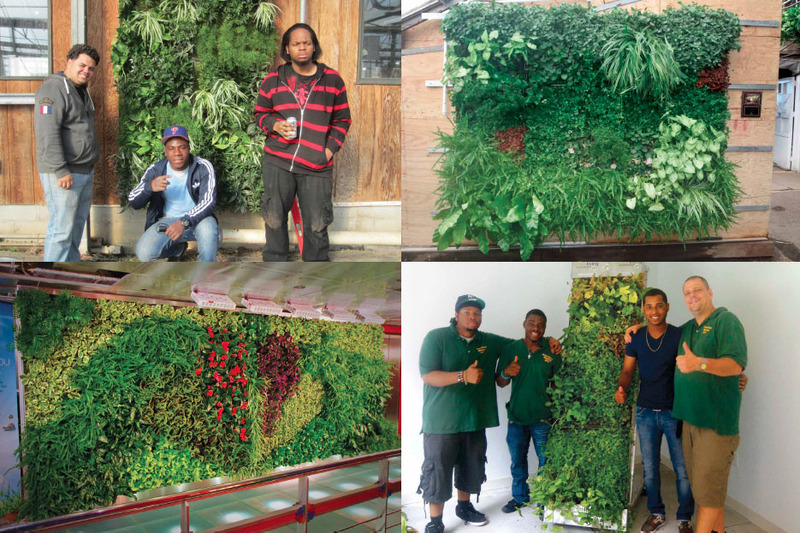 Green Living Technologies developed the mobile growing walls that enable Ritz’s team to grow vertical farms in even the smallest classrooms, or on rooftops, side lots, subway canopies, public buildings. The program has evolved into a successful job-training program, generating paid work for 2,200 students, including contracts with private homeowners.